The Huawei Watch 2 – What makes it The Best in The Market… or is it? The Huawei Watch 2 is a completely new Android wear that comes with a sporty design, alongside the smartest features you can ever find on a smartwatch. This is a smartwatch that has many features offered by any typical Android-powered phone. You can wirelessly link it to your smartphone to pick your calls, read incoming messages and track your fitness routine. You can rely on this watch to provide you with your fitness data or even end your data to your emails and social media profiles. So… what is Huawei Watch 2? Watch 2 by Huawei is an Android-powered wear-based smartwatch that performs several functions of a high-tech watch and a smartphone, hence it can be described as a smartwatch with a phone. The history of Huawei smartwatch began in September 2015, when the first smartwatch was released. It was powered by a Qualcomm Snapdragon 400 CPU and had a storage capacity of 4GB plus a 512MB of RAM. The updated smartwatch with a phone comes with more advanced features, and the Qualcomm Snapdragon 2100 CPU, that perhaps makes it the best watch in the world. That is a bold statement, but we think it is. Do you agree? Write down your opinion in the comment section. This is a second generation Huawei smartwatch that is specifically designed for the tech-savvy individuals, geeks and regular people who want to simplify their daily routines. The smartwatch is user-friendly but not overly packed with complicated features. It comes with basic features such as GPS, NFC, and Heart Rate monitoring for simplifying some basic tasks and routines. With its sporty and excellent fitness tracking features, this smartwatch is designed for weight watchers, runners, and amateur- and professional athletes. The Huawei Watch 2 comes in four different main colors which are the carbon black, the classic titanium grey colour (with brown strap), the classic titanium grey ( with hybrid leather strap), and the fascinating concrete grey color. An orange version is possible to pick up at some stores. The smartwatch comes with an excellent body design that makes it look sporty, but not over the top. It pots a top-notch ceramic bezel, which can only be found in the most luxurious watches, likewise, it is water and scratch resistance. It is relatively lightweight, hence it feels comfortable on you. The smartwatch is designed to resist sweat and dust. The wearable is highly versatile in every way, and it is stylish for both formal and informal occasion. The watch comes with a two-layer strap (an outer leather material and an inner rubber material) – this feature provides, even more, durability and convenience. The stainless steel body design of this smartwatch produces some classic aesthetic feel, while the strap measures 22mm and it is interchangeable. The smartwatch is designed to monitor a number of things, and heart rate monitoring is one of such. It comes with an improved and sophisticated heart rate monitoring technology that includes 5HR ranges that measure accurately the intensity of your fitness activities. The in-built GPS is another monitoring feature that comes handy here. This feature works with the GLONASS dual positioning system that provides accurate tracking for running, and also provides all necessary outdoor navigation features. Ability to pair the watch with an android wear app, which means you can transfer all monitoring and readings to your smartphone. This watch cannot be paired with a smartphone through its Bluetooth settings. The Android app that can be paired with this smartphone can be downloaded from Google Play or App store. Optional 4G version makes it work as a phone, without your smartphone, if insert a SIM or eSIM card. It comes with a workout coach feature that provides a real-time guidance on how best you can maximize your fitness routine. This feature will provide you essential workout data, including recovery time. It plays music without the need for phone – with this smartwatch, you don’t need your smartphone to play music and it also means you can listen to your favorite music offline while you are exercising. This feature also comes with a free Google Play 10-week music subscription. The device comes with an inbuilt NFC and Google assistant that allows you to make payments for certain services where this is possible. The special Google voice assistant feature also allows you to search for stuff via the command of your voice. An excellent battery life. The device comes with some optimized power consumption settings that keep the smartwatch working endlessly. One of the closest smartwatches to the Huawei Watch 2 is the LG watch sport, and these two products share so many things in common as well as differences that can be compared in so many ways. Dimension Measures 48.9 x 45 x 12.6 mm in length, width and thickness respectively. Measures 45.4 x 51.2×14.2 mm in length, width and thickness respectively. Colours Carbon black and concrete grey Dark blue and Titanium. Notifications Provides notifications for a timer, incoming calls, calendar reminder, Text message, alarm, weather and email Provide the same notifications as written to the left except the weather. Pros and cons both ways here. Which one do you prefer? Step #1: Put on your wristwatch, and it will automatically track your data and identify your status. Step #2: Set up your work target. To do this, simply press the power button (this has the image of a shoe). Select “Daily tracking”. If this I the first time you are using the feature, simply swipe left on your screen to enter all your personal details, these are; Gender, Age, weight, and height. From here you can set up your daily target or goal. Step #3: To track your training, you need to press the power button again after storing your personal information, and then swipe up on the screen to view your sports data, these including running, walking, calories burnt, workout duration, standing and even taking the staircases. Step #4: Set up the Notification- once you have provided the accurate height and weight data to your smartwatch, you can turn on the Notification option in the daily tracking. This feature will send notifications only when you attain 100% of your daily targets. You can make use of the Huawei app Home screen that has already been linked to your watch, to check the numbers of steps you take, total calorie burnt and all other sports data available. A proper smartwatch for training. The battery life of Huawei Watch 2 is a long-life battery that comes with a number of power consumption settings that can be adjusted to suit your needs, this means you can even extend the power supply to the third day through its power management system. Ideally, the battery should last for about 2 days when fully charged. The customizable battery options can give you 3 days of continuous power when you put it on “Watch” mode, 2 days when you set it at “Smart Power Saving Mode”, and up to 7 hours when you are on GPS usage mode. The 420 mAh battery is charged through a Cradle that provides an inductive charging. A full charge should take roughly 100 minutes. Here is one of the official product videos before we continue with connectivity, conclusion and technical specifications. In order to connect your smartwatch to a phone and use it to track your fitness, you need to ensure that you download the Android Wear app on your smartphone from Google Play services or Google search first. In order to connect and pair the app with a phone, you need to ensure that the phone is connected to a Wi-Fi internet, then you need to press down and hold the power button on your watch, then follow the on-screen instructions to choose your preferred language. On your smartphone, simply enable the Bluetooth, then open the Android Wear app you downloaded earlier, and follow the on-screen instructions and you will see the available Bluetooth displayed on the phone, simply click the appropriate Bluetooth to connect the phone to your watch. Simply swipe the surface of the watch and check that a pairing code appears both on your watch and the smartphone and then click on “Confirm” to complete the pairing. Once you have paired your watch with the phone, you will see a “connected” information display on the Upper left corner of the Wear App’s home screen. Huawei Watch 2 has a longer better life when compared to similar products in the market. The Lithium-Ion battery is built to last and withstand continuous usage. It also comes with heat resistance capabilities. Aesthetically, this wearable comes with a very smooth and beautiful design. Its double layer strap which is interchangeable even makes the watch more functional and it is the only product of this kind that has the two-layer strap feature. It comes with excellent sensors that increased its power of navigation well above other similar models. Making use of the AMOLED screen has helped in extending the battery life. Products such as the similar LG watch do have a higher screen resolution but this has a negative impact on the usage of its battery. It comes with several reminders, including the hourly reminder that reminds you to move, when you have been sitting for too long. Heart rate sensor, smart assistant, Andoird pay, and real-time coaching. Customizable clockfaces if fun and make the appearance personal. A 4GB of flash memory storage is not possible to expand. But on the other hand, 4GB of storage should be enough to store most of your data as well as your most cherished songs. The cost of the watch is almost like that of a smartphone. The screen can be too tiny for some people, and the performance can be sluggish occasionally. Though the screen resolution may be slightly lower here than what you see in rival wearables, this, however, helps in conserving battery life. iPhone users, beware: Even if this watch works on iOS and iPhone as well, you will not be able to use all the features and functions. Sleep tracking is dependant on third-party app. There seems to have been a tremendous improvement in a number of features found on this second version over the first generation Huawei watch. The hardware platform is wonderful and the Snapdragon processor seems to make everything even faster. The novelty design of this piece of timepiece makes it stronger and more durable, most especially with the double layer strap. The OS android wear 2.0 is the latest android wear version for any similar products on the market. The silicone strap of this watch is sweat-proof, which means you can strap the watch on your wrist even when you are indulging in high-intensity activities. While it comes with a standard 20mm strap size, the ability to switch from the outside strap to the inner one, even makes the watch more fascinating. For the price of about $260 at most retail stores online, this watch is worth investing into, especially if you take your fitness routine very serious or you are a professional athlete who has a lot of time to practice. Most smartphones cannot provide the kind of services, provided by this watch, especially when it comes to monitoring and recording fitness data. Check the latest price and consider buying it from my favorite and trustworthy online store, Amazon both in Europe and US. Interface AMOLED with Corning Gorilla Glass, V3. Water-Proof (depth) IP68 water & dust protection. 1.5 m depth for 30 minutes. 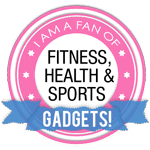 I hope you found the review of this smart fitness watch useful. Thanks for reading it. Have a nice day. I remember when I first saw the first Huawei Watch, I was impressed and wanted one so bad but it is extremely expensive! There is no doubt the Huawei watch has an impressive design and pretty good specs but my issue with smart watches has always been the price. Always been scared to break the screen, someone stealing it from my arm or even me losing it. Great review, the current price of the Huawei Watch 2 isn’t too bad but I didn’t see the really expensive gold one. Are they still manufacturing the high-end Huawei Watches or did that end with the original watch? I’ve been thinking lately of buying the Apple watch, but after some research I’ve done, I realized how many more value for money options exist out there. This Huawei Watch 2 has indeed a smartphones price, but the features it has seem to me really awesome and more than enough for its price! Hi Antonis! Thanks for your comment. I don’t reccomend the Apple watch to anyone. It is a cool smartwatch, by all means, but there are so many other alternatives that are better I think. At least if you need a wearable for sports, running, workouts etc. Glad you liked the Huawei Watch 2.